Tokyo-based architect Jo Nagasaka designed ‘Flat tables’ series for dutch comtemporary store Options!. 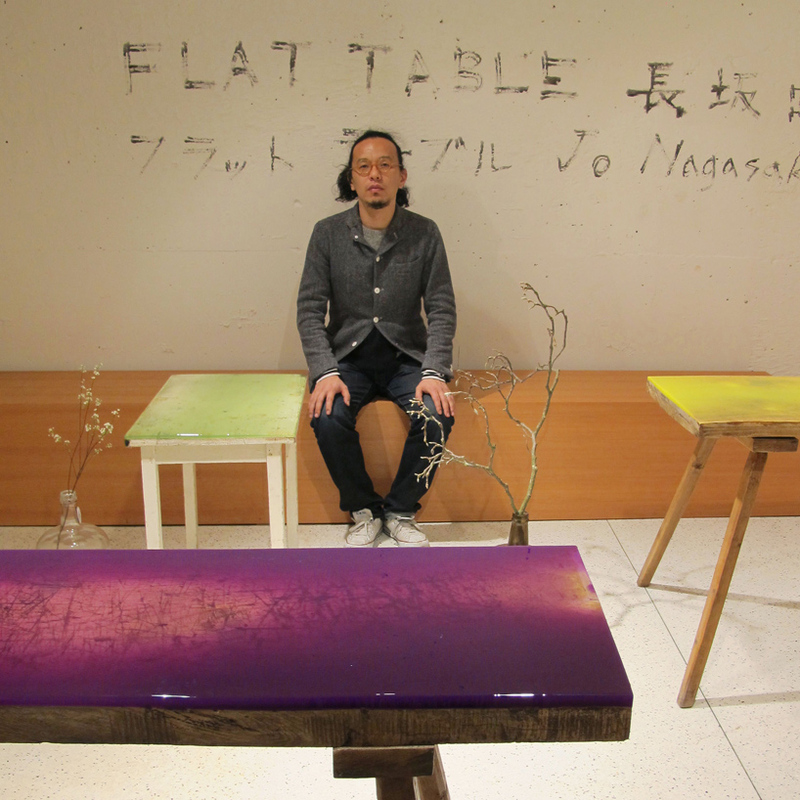 Nagasaka began working on ‘flat tables’ in 2009, whereby he poured epoxy resin on table surfaces to fill the irregularities. Last year at Milan Design Week, he presented the ‘flat table peeled’ series, a contemporary version of the traditional Japanese “Hassoku Dai”, a table with 8 legs: Nagasaka used bright neon colored resin to smooth the uneven cedar plank surface, for a stunning effect. For Options! this year, the designer takes antique tables and desks and top them off with a thick ‘icing’ of vibrant turquoise, yellow, green and purple resin. I like! With all the snow and frozen landscape outside, I am craving for bright colors. So I’m happily sharing the resurgence of fluo, a spring 2012 trend spotted in an Australian magazine I recently bought in the US. Neon colors are fusing with pastels and neutrals injecting optimistic tones to chase the winter blues away!